Have you been out on your bike enjoying the sunny weather? We hope so and remember if your bike needs any attention - a service or a repair, we can do that for you in our fully equiped bike service centre at Unit 5 Thomson Court, Rutherglen G73 2RR. Give us a call on 0141 647 3250 to find out more. 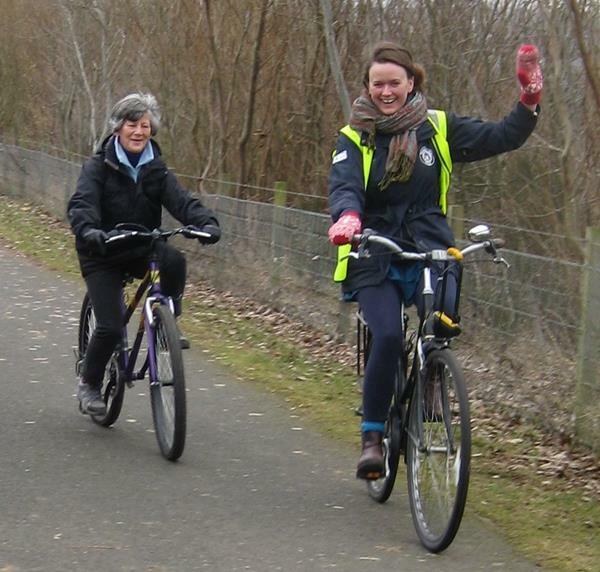 We now offer two different types of cycle rides, guided and social rides. Our social rides are run by volunteers and participants are expected to have the skills necessary to keep themselves safe cycling on multiple terrains. Our guided rides have additional support from cycle ride leaders employed to 'guide' the ride and are therefore suitable for new and less confident cyclists. 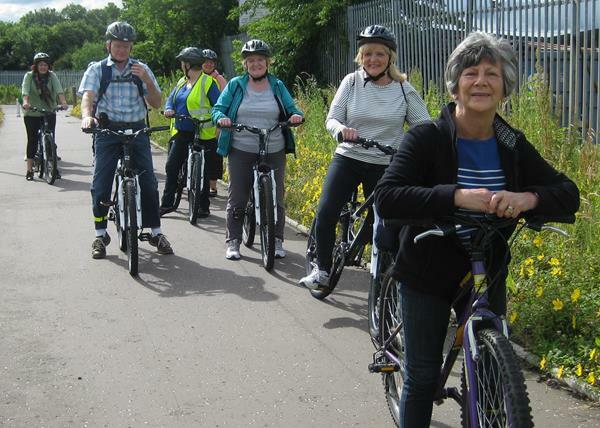 We have loan bikes available for people living/working in Cambuslang or Rutherglen. Arrive at 10am if you wish to borrow a bike. Our Wednesday rides depart at 10.15am from Bike Town. We stop midway for a very important cafe visit and aim to return by 1pm. Once a month we offer a longer-distance, faster-paced guided ride, suitable for people looking to extend their cycling experience. We usually manage between 20 and 30 miles and aim to return by 3pm. In June we also have a special annual event in celebration of Landemar Day. Our 3rd Boundary Stones guided ride will depart from our cycle hub at 6.30pm and roam the historic stones marking the ancient boundary of Rutherglen. This used to be done on horseback, however we've replaced the horses with our trusty bikes. If you have a horse you're also very welcome to join in :) The ride is at an easy pace and covers about 10 miles following the route of the ancient boudary marker stones laid out to mark the boundary of the royal Burgh. For more information on all of our rides please visit our online Meetup group pages. Our social rides rely on the benevolence of volunteers, providing us with their time and skills to facilitate regular rides. 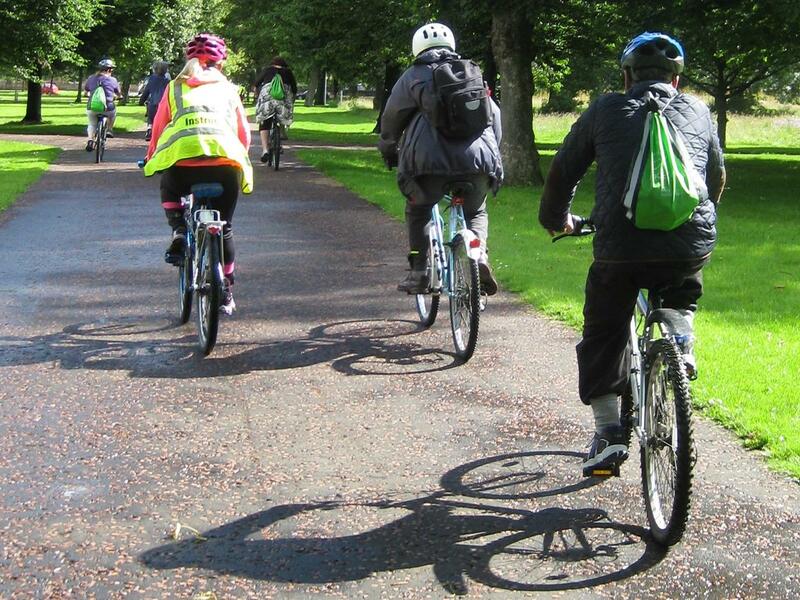 This Saturday 20th May, a few more of our guided ride regulars will attend the Cycling Scotland Cycle Ride Leader training, preparing them in the skills and knowledge needed to lead easy-paced cycle rides. Places on this course are full but if you are interested in helping us out on our social cycle rides and you are a confident cyclist with good communication skills please get in touch and we will add your name to the waiting list. 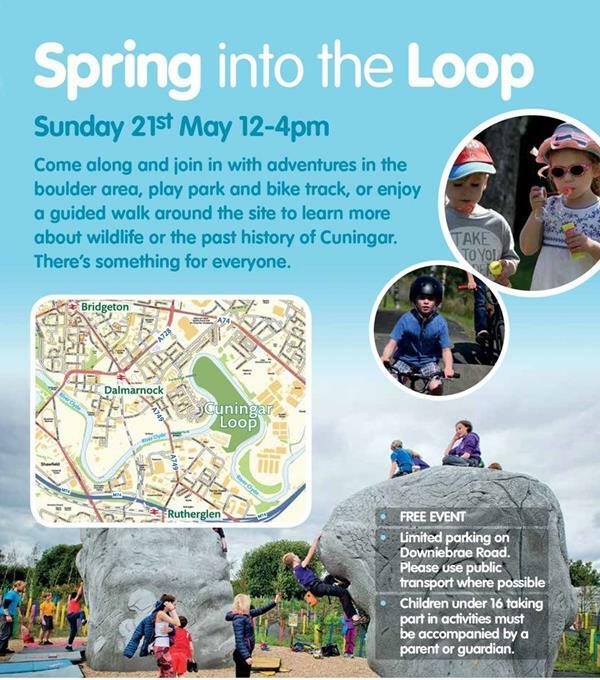 Bike Town will be at Cuningar Loop on Sunday 21st May, 12-4pm. Come and borrow one of our bikes for FREE to test your skills on the bike tracks. Cuningar Loop is an exciting new woodland park in Rutherglen. Fifteen hectares of derelict land - the size of 15 football pitches - has been transformed into a community greenspace for local people and visitors to get involved, get active and be inspired by the outdoors. Get in touch to book a place. Bike Town are coming to a gala day near you! Come and meet the team, talk cycling and find out how Bike Town can support your and your family's cycling. Colleagues from other parts of Healthy n Happy will also be available with information and advice on the full range of services and activities our organisation has on offer. Our Dr Bike is out and about in May and June, providing FREE bike safety checks at various community events. Bring your bike to one of the events below and our mechanical gurus will give it the once over to make sure it's in good working order. Advice is given if your bike doesn't pass the fitness test! Congratulations are in order to Paul Mann. 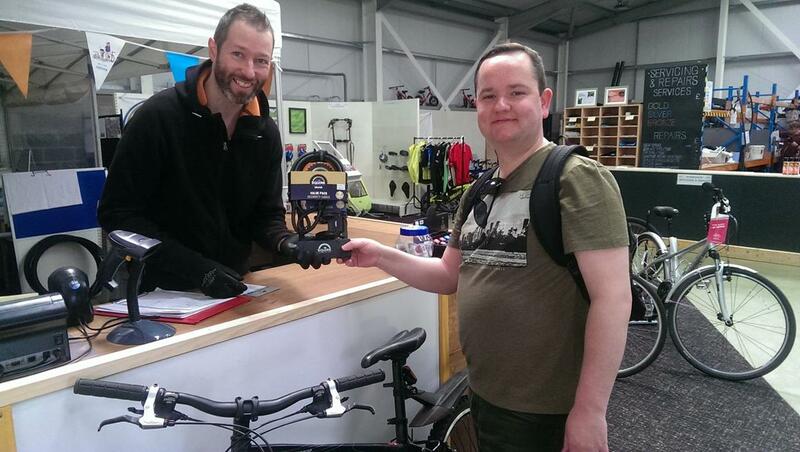 He is the first, of soon to be many, winners of our new monthly 'Mystery Prize' competition. To enter, all you have to do is bring your bike in for servicing and your name will automatically be entered in the prize draw. £5 per hour for use of a bicycle stand, tools, lubricants and all the tea and coffee you can consume. Sort out your squeaky brakes, wobbly wheels and clunky gears with expert advice and guidance available from our skilled and trained mechanics. Thursday 15th June – FREE, it’s Bike Week! • Do you have any unwanted and neglected bicycles you can donate? 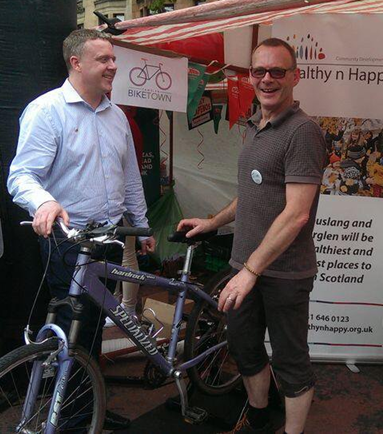 We can also arrange to collect your bike, call 0141 646 0123 or email biketown@healthynhappy.org.uk. 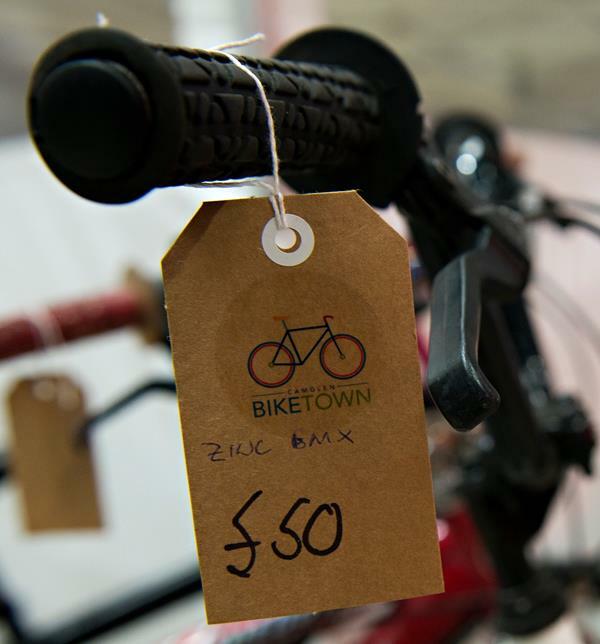 Our awesome volunteers support Bike Town in many different ways, helping with everything from social and guided cycle rides, promotional events, collecting donated bikes and stripping bicycles. We also have retail and administration work experience opportunities. You'll receive support and training to help you thrive in the role, and we'll make sure there is an endless supply of tea or coffee during your time with us! 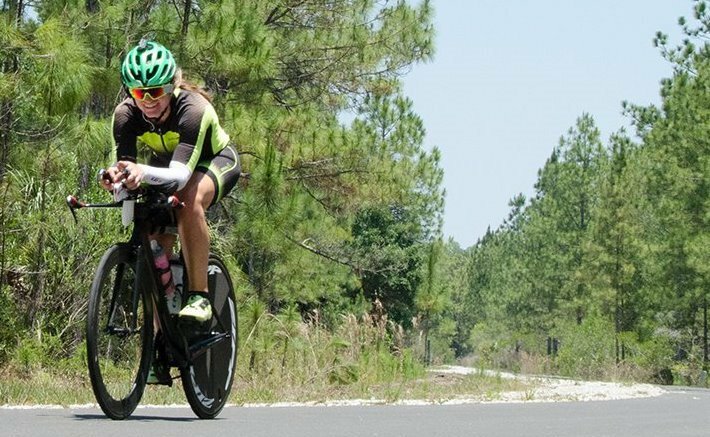 The world record holder for the most miles cycled in a year was recently broken by 24 year-old Amanda Coker. Initally Amanda set out to break the women's record, but she did that with eight months remaining, so she kept on cycling. She surpassed the overall record on day 315, completeing her cycling year by eclipsing it by over 10,000 miles, setting a new record of 86,573.2 miles cycled in 12 months. Even more astonishing is that Amanda has returned to cycling following serious injuries, including brain damage, that occurred when she was hit by a car when out cycling. You can read more about Amanda's record breaking achievements here and follow her cycling on here as she aims for another record, the shortest time taken to cycle 100,000 miles. Motherwell hosts Round 7 of the The Tour Series on Tuesday 23 May. The free event is open to everyone and spectators will get a great view of the action. Before the pros don their lycra at the evening's events, local school pupils will have the opportunity in the afternoon to cycle around the circuit, then Scottish Cycling will host a range of amateur races, before the council hosts a Corporate Grand Prix. The women's Matrix Fitness Grand Prix starts at 5.30pm, with the podium presentation at 6.30pm. Then the men's Tour Series gets underway at 7.30pm. The presentation to the men's winners will be at 9.00pm. There will be live commentary throughout the races to keep spectators up to speed with all the action. You are receiving this because you a member of the CamGlen Bike Town emailing list. You can unsubscribe at any time.